How much oxygen is your aerator really going to deliver and what is the pumping rate. Aeration systems make claims about the oxygen transfer rate and how many pounds or kilograms of oxygen are added per hour or per kilowatt. This can be a very effective way to compare the efficiency of an aeration system based on the biological oxygen demand of the system. A small pond with trout or bass will have a different BOD (biological oxygen demand) compared to a wastewater treatment system. In some cases a bottom mounted diffuser aeration system can be the most efficient choice but in other applications a large surface paddlewheel aerator might be required to meet requirements. Most commercial-grade aerators and diffuser systems have been laboratory tested to determine their SOTR (Standard Oxygen Transfer Rate) but the resulting SOTR ratings are based on fairly narrow criteria usually when test water has zero dissolved oxygen and at a defined temperature. In real world applications the advertised SOTR can almost never be expected because the actual rate of oxygen transfer is temperature and existing D.O. (Dissolved Oxygen) concentrations. Any aerator or diffuser will only provide its measured (advertised maximum) oxygen transfer rate when the dissolved oxygen levels in the water are at zero or close to zero. This chart will help estimate the actual oxygen transfer an aerator will give when there is already oxygen in the water. For example: If the water temperature is 59°F (15°C) and the dissolved oxygen level is 3 Parts Per Million (PPM) or 3 mg/l, an aerator system or diffuser that is rated at 3 pounds of oxygen per hour will really only provide 64% of the advertised SOTR or around 1.92 pounds of oxygen per hour (3 lbs x 64 percent = 1.92 lbs). If the pond temperature is 77°F (25°C) and the dissolved oxygen level is 5 Parts Per Million (PPM) or 5 mg/l, an aerator system or diffuser that is rated at 3 pounds of oxygen per hour will really only provide 35% of the advertised SOTR or around 1.05 pounds of oxygen per hour (3 lbs x 35 percent = 1.05 lbs). Percentage of advertised oxygen transfer actually transferred to a pond based on water temperature and the dissolved oxygen level prior to adding the aeration device. If a pond temperature is 68°F (20°C) and the dissolved oxygen level is 7 Parts Per Million (PPM) or 7 mg/l, an aerator system or diffuser that is rated at 3 pounds of oxygen per hour will really only provide 19% of the advertised SOTR or around 0.57 pounds of oxygen per hour (3 lbs x 19 percent = 0.57 lbs). Low oxygen concentrations can be damaging to a variety of critical life stages of aquatic animals, including larval invertebrates, and fish eggs and fry. Like temperature, organisms differ in their tolerance to low dissolved oxygen levels. The ideal dissolved oxygen level for fish is between 7 and 9 milligrams per liter (mg/L); most fish cannot survive at levels below 3 mg/L of dissolved oxygen. Some published guidelines suggest dissolved oxygen concentrations must not decline below 5 mg/L and should not average less than 6.5 mg/L over a seven-day period. However, the guidelines also require that dissolved oxygen concentrations remain above 9.5 mg/L in areas where early life stages of aquatic biota, particularly fish, are present. Anoxic (depleted oxygen) conditions can result in fishkills, which is particularly common during harsh winters with extended ice-cover. When fish are not a concern such as a wastewater treatment facility or leachate pond, where the main concern is to ensure the BOD is adequately addressed by the chosen aeration system, different criteria will apply and take a priority role in importance when deciding if bottom diffusers, surface aerators or some sort of jet or aspiration aerator or paddlewheel type aerator will make the most sense. These aerators are also called lake-bed aerators or bottom-mount diffusers and basically use a shore-mounted air blower or compressor type air pump to push air into multiple diffusers placed at the bottom of a pond, lake or wastewater tank. Some of the more popular aeration systems in North America harness the efficiency of the disc diffusers as part of their bottom mount, or lake-bed, diffuser system. Diffuser discs come in various sizes; the most common sizes are the 9 inch diffuser disc and the 12 inch diffuser disc. These diffuser discs can be arranged on proprietary weighted bases according to manufacturer or individually weighted or affixed via lengths of weighted airline to mainline header systems with valves tapped-off a main header. Diffuser discs have an integrated check-valve system to prevent backflow of liquids into feeder lines. Aeration is one of the important processes employed in activated sludge process of the biological treatment units of wastewater. In this process the level of dissolved oxygen in the effluent is raised to the required amounts to decompose organic matters present in the effluent and thereby to reduce the BOD (biochemical oxygen demand) of the effluent by a physical means called “aeration process”. The aeration process consumes as much as 60-80% of total power requirements of wastewater treatment plants. Therefore, the efficiency in design of aeration process is required so that wastewater treatment and its power consumption can be economized. The immense environmental challenges facing the world now and in years to come can only be met through marshaling the talents of the best environmental engineers and scientists, and through the use of innovative, cost-effective solutions. Written by three leading aeration experts, Aeration: Principles and Practice, covers the principles and practice of aeration, a unit process critical to the performance of activated sludge treatment and to the budget of wastewater plants. This reference presents the state of the art in aeration, using examples from a variety of facilities in the USA and Europe. The authors investigate conventional and deep-tank aeration systems for BOD removal and nitrification, as well as high-purity oxygen systems. Operating and capital costs, as well as energy use data are presented together with design information allowing the adaptation of new aeration technologies to plants of diverse size. Both practitioners and advanced students of wastewater management will appreciate the detailed presentation of oxygen transfer principles, especially as they are illustrated in numerous applications. With the information presented in this book engineers and managers will be able to understand and monitor the efficiency of existing aeration systems and to develop strategies for process improvement. The Ecological Bases for Lake and Reservoir Management provides a state-of-the-art review of the range of ecologically-based techniques necessary for the holistic management of lakes and their catchments. Most of the methods, case studies and national policies reviewed are directed towards management of the largest problem - eutrophication - with the emphasis on the multiple-scale approach needed for successful management and restoration. Case studies come from the USA and ten European countries, and range from single lakes through to lake districts and national inventories. Several essays precede the practical chapters with thought-provoking comments on the political, social and economic climate of water management. The expanded guide to New York State lake and watershed management, 2nd edition. Lake associations and citizens play a vital role in protecting and restoring our lakes and waterways. 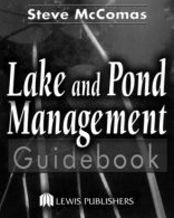 This book is an introduction to understanding and managing lakes. Lakes and their watersheds are natural treasures for us to use and protect. Together these rich resources supply abundant water to support thriving communities, provide recreational opportunities, and spur economic growth in an area. For many communities, the tax base and economy are dependent on having clean water. Even when a lake is healthy, its users cannot afford to wait for a disaster before acting to keep it healthy and its water clean for current and future generations. This publication offers guidance for lakeshore residents, local officials, and agencies interested in water resources by providing: * An introduction to lake ecology * Descriptions of lake restoration and watershed management techniques *A special section about relevant New York State laws and regulations * Guidance for preparing a watershed management plan Diet fir a Small Lake was prepared by the New York State Federation of Lake Associations, Inc (NYSFOLA) in collaboration with the New York STate Department of Environmental Conservation (DEC) and is the culmination of several years of collaboration on lake management issues. It replaces and expands the information presented in the first edition. Fine Bubble diffuser discs membranes are made of EPDM (ethylene propylene diene monomer), silicone or PTEE (PolyTetraFluoro Etyhylene) layered combinations. Lake and pond diffuser assemblies typically use EPDM diffuser discs as they are generally used in fairly benign, low-organic situations in fairly clean waters so they are able to resist fouling quite well. Wastewater systems, leachate ponds, compost reduction basins or storm water retention ponds often have higher levels of organics and dirty effluent which can cause issues with these diffusers and a more specialized diffuser is needed. Establishing a SOTR (Standard Oxygen Transfer Rating) rating for a diffuser device or to pinpoint a precise SAE (Standard Aeration Efficiency) for a bottom mounted or lake-bed diffuser aeration system is not easy. The SAE (Standard Aeration Efficiency) of air diffusers is generally between 0.5 and 1.5 pounds per horsepower per pound (1.0 - 2.0 lb/O2/hp-hr). High efficiency air stones which can create finer bubbles have higher SAE closer to 3.0 pounds of oxygen per horsepower per hour. Understanding the needs of your aquatic system will help you best choose the diffuser system that will be most cost-effective for your project. Depth of the diffuser placement will dictate the PSI (Pounds per Square Inch) requirements of your compressor or blower. Compressors and blowers have limited airflow and pressure thresholds and tubing lengths can further impact the final diffuser performance. In deeper ponds and lakes over 10 foot depth the best aeration efficiency and oxygen transfer will be with a bottom mount diffuser system. Rotary vane or piston compressors can provide adequate airflow in the most common situations and if higher airflow and pressure is necessary then a rotary screw compressor. It is important to recognize and understand the differences between reciprocating, carbon vane, rotary centrifugal, regenerative blower and rotary screw compressors as they all have specific strengths and weaknesses. To maximize the efficiency of a diffuser system and to get the most pounds of oxygen per horsepower per hour from the diffuser you need to ensure the air blower system is tailored to your specific job. One interesting benefit of using land-based blowers or air compressor systems for pond aeration is the reduced underwater noise levels of diffuser systems when compared to surface aerators. More and more research is focused on understanding the impact of extraneous noise on aquatic creatures. Measurements conducted under water are raising red flags about the noise produced by devices such as paddle wheels, agitators, airlifts and drilled pipe homemade DIY diffusers or spargers. In non-living systems (cement basins or oil field tailing ponds) this extraneous noise is not an issue. Another benefit of bottom-mount diffusers, because the air supply blower or compressor is onshore and often hundreds of feet from the diffuser, is that there is much less audible noise in the water column to disrupt fish or aquatic life. Reducing the noise that is pushed into the pond through an aeration device can improve the health of the fish stocks and general well-being of the pond. Some pond and lake owners, especially fish clubs or conservation groups have reported that diffused air is the only aeration method they can use that will not disrupt breeding. The situations and considerations are virtually endless, so take some time to research the best aeration method for your particular application beyond looking at the Oxygen Transfer. One of the most popular ways of comparing diffusers is to use the pumping rate of the diffuser based on the CFM airflow (cubic feet per minute) through the diffuser at different depths. Diffusers will circulate more gallons per minute as the depth of the diffuser placement increases even with the same CFM flow. By measuring the Gallons Per Minute of pumping it is possible to establish how many diffusers are required and the CFM needed to circulate a given volume of water. Increasing the CFM will increase the pumping capacity of the diffuser but every diffuser type has limitations and backflow headloss equations to consider. Wastewater and tank diffusers are not considered in this chart as they are more specialized. This chart should be used as a general guide only without scientific acknowledgment or reference. Data is condensed estimations based on manufacturer claims. If a diffuser placed at 5 foot depth is rated to pump or circulate 500 gallons per minute with airflow of 2 CFM, the same diffuser at a depth of 12 feet might have a pumping capacity of 1500 gallons per minute with the same airflow of 2 CFM. This is why bottom mounted, lake-bed diffusers are typically used in deeper situations. If you need to aerate a large pond that has 2.3 million gallons (approximately an acre sized pond average 7 feet deep) and you want to do a complete turnover of the total pond volume every 24 hours, you need to look at the pumping rates of your chosen diffuser at depth and determine how many diffusers will do the job. If each of your diffusers has a rated pumping capacity of 1000 Gallons Per minute with 2 CFM (Cubic Feet per Minute) of airflow then that single diffuser would theoretically be able to do a complete pond turnover in around 38.5 hours. (2,300,000 gallons divided by 1000 gallons per minute = 2300 minutes = 38.3 hours to pump 2.3 million gallons). If you used two diffusers for a total pumping capacity of 2000 gallons per minute you would be able to do a full volume mix of the pond in 1150 minutes or 19.2 hours. If you used three diffusers for a total pumping rate of 3000 gallons per minute you could do the complete pond turnover in 767 minutes or 12.8 hours. So with three diffusers and 6 CFM you can pump the full volume of an acre pond in close to 12 hours. Keep in mind that the depth and shape of your pond will have an impact on total pumping rates and just how thorough the mixing of the pond is; stagnant pools can exist in ponds where the water won't be moved unless correct placement of the diffuser takes these dead zones into account. Let's have a brief lesson in fine bubbles, it will be fun (well...not exactly) and you will get a short course in why smaller is sometimes better especially when it comes to diffuser bubbles! Lesson 1 - Let's take a fairly large bubble as far as aeration goes. Our large galloping bubble that is 0.8" in diameter, just over 3/4 of an inch, or 20 mm has a full volume of 1.64 cubic inches or 4.19 cubic centimeters. This same glorious orb has a surface area of 5 inches or 12.6 square centimeters and that is what we can define as a coarse bubble! Lesson 2 - Now a coarse diffuser like an airstone would create large bubbles like in lesson one but if we could use the same volume of air but break that large sphere into smaller ones we could greatly increase the available surface area which in turn enhances and embellishes the aeration transfer capacity of the same air volume! If we replaced that one large 3/4" wide bubble with tiny bubbles or micro-bubbles that were 1/16 of an inch or 3 mm in diameter we could fit 296 of these fine bubbles into the larger one of lesson 1! The combined surface area of those 296 bubbles works out to over 33 square inches or 84 square centimeters! This is close to 7 times the total surface area...and the surface is where the oxygen transfer occurs. Lesson 3 - Now since the surface area is close to 7 times greater we can theoretically aerate 7 times as much water with the same compressor or blower or air pump depending on whether we have a fine bubble diffuser or a coarse bubbler. Same air pump, totally different efficiency!! Surface aerators usually consist of a submersed motor suspended from a float that drives an angled prop to create a frothing oxygen transfer boil on the surface. In smaller ponds and aquaculture tanks these are often retail units between ½ HP and 5 HP. Larger models up to 300 HP are used by commercial applications and wastewater treatment. A basic calculation for oxygen transfer requirements or inadequate surface aerator is to allow at least ½ HP of an efficient surface aerator for every million gallons of pond volume. This is only a guide used in smaller ponds. High density fish ponds or ponds with a higher BOD should calculate at least ¾ HP per million gallons. The most efficient small-scale surface aerators will have an oxygen transfer rate based on standard aeration efficiency (SAE) of 3 pounds per hour per horsepower. This oxygen transfer rate will depend on motor efficiency and important factors like pond depth and temperature. As we see in the chart below, a manufacturer's listed oxygen transfer rate of 3 pound per hour per horsepower will depend on the starting oxygen rate (either PPM or mg/litre) of the water. If this surface aerator is put into a pond that has an existing Dissolved Oxygen (D.O) rate of 5 PPM or 5 milligrams per litre and the temperature of the water is 59 degrees F (15 degrees Celsius) the actual oxygen transfer rate of the quoted 3 pounds per HP per hour aerator will only be 46% of the listed efficiency or 1.38 pounds of oxygen per hour per horsepower (HP). The pumping rates of surface aerators and fountains are usually somewhat lower than bottom diffuser systems. A typical medium sized surface aerator from 1 to 7.5 HP which uses a propeller system and a float will circulate anywhere from 200 to 3000 gallons per minute. The energy required to run a 7.5 HP surface aerator to move 3000 gallons per minute would be more than would be required for a diffuser system which might be able to move the same volume of water with a 1/3 HP air pump and three diffusers. A surface aerator would be a poor choice for a large or deep pond. It will continue to pump basically the same water over and over again, adding no oxygen where it is needed, because it is not moving water away from the aerator. Paddlewheels or aspirator type surface systems would be better suited when the movement of the oxygenated water away from the aeration device is important. For the smaller scale surface aerator we use Kasco Marine surface aerators or Aquamaster Surface Aerators or Scott Aerators or any of the many popular retail brands.The typical application include commercial aquaculture, agricultural ponds, industrial plants, municipal waste water and backyard ponds. These units are typically selected for surface aeration when a decorative fountain pattern is neither necessary nor desired, many pond aerators are self-contained, lightweight units that float at the surface with a single power cord returning to shore and two or three mooring lines anchoring the unit. The units are easily installed and maintained by a single person and have proven to be an excellent choice for both continuous duty pond and lake aeration and supplemental aeration for unique applications. Paddlewheel aerators are surface aerators consisting some sort of motor, electric, diesel, gas powered or tractor power takeoff that is attached to a floating structure and paddles attached to the motor hub or shaft which spin and splash at the water surface to create aeration. By increasing the diameter of the paddles the oxygen transfer rate can be increased; other important variables are the specific depth of the blades as well of the angle of the paddles. By increasing motor speed and hub rotation the oxygen transfer rate is also incrementally enhanced. A tractor powered takeoff (PTO) can have very high SOTR (Standard Oxygen Transfer Rate) as much as 90 pounds of oxygen per hour which means they can be important as an emergency aeration supply but the drive-train and drive-shaft of such systems drain efficiency and they are not at all energy efficient beyond emergency aeration. The more efficient three-phase or 3-phase power paddle wheel aerators have a SAE of between 3.5 and 6 pounds of oxygen per HP per hour. This high SAE, combined their ability to de-stratify through rapid circulation makes this type of aerator very popular with aquaculture around the world. This is another surface mounted aeration device that is very good at adding aeration and circulation to a pond or basin. They use a submersed propeller that creates a vacuum effect and draws air through intake ports into a hollow shaft that is dispersed in a large plume of fine bubbles (about 2 mm in diameter) throughout the water. The angle of attack can be adjusted with simple altering of the float brackets. The aspiration propeller aerators are extremely quiet as there is no water boil at the surface like a standard surface aerator; all of the mixing is below the surface. Motors can range from 1 to 100 HP and above. Multiple units can be deployed in basins to ensure there are no stagnant dead spots. This creates a flow linkage that disperses and mixes the oxygen evenly through the pond and ensures an effective circulation. The SAE is approximately 2.0 - 3.0 LB/O2/hp-hr. Choosing your aeration system involves understand the demands and desired results. Mechanically adding aeration to reach the oxygen requirements of any aquatic system, natural or wastewater requires a complete understanding of which oxygen diffusion type will be the most cost and efficient to ensure correct circulation and mixing to support the biological oxygen demand or the pounds of fish in the pond. As we discussed; depending on the application you are considering and the actual need for oxygen in your system there are two common ways of describing any aerator performance. To best evaluate the cost per year and efficiency use the oxygen transfer rates (SOTR and SAE) to evaluate the cost and efficiency of the system. The standard oxygen transfer rate (SOTR) is the amount of oxygen added to water in 1 hour under a standard set of conditions. These conditions are usually based on testing results that use oxygen deprived water at a measured temperature as a baseline to which the aeration product (diffuser, surface aerator or diffuser tubing) is added with a certain airflow or horsepower rating to measure the amount of oxygen that is transferred. The units of SOTR are pounds O2/hour, which can be multiplied by 0.45 to derive the metric equivalent in kg O2/hour. Standard aeration efficiency (SAE) is the standard oxygen transfer rate divided by the power requirement in horsepower (hp). Units of SAE are pounds O2/hp·hour, which can be multiplied by 0.61 to derive SAE in metric units of kg O2/kW·hour. Aerators transfer less oxygen under actual pond conditions than under the standard conditions of aerator performance so SOTR and SAE values are best used to only compare similar styles of aerators as an aid in selecting the correct equipment to purchase rather than as design criteria for pond use. When interpreting comparisons between aeration systems and diffusers, small differences in SOTR and SAE test values may not be meaningful because test conditions may vary and effect results. Good SAE values and system dependability and durability are most important when selecting aerators for general day-today use. The right aerator for the job is one that delivers the required rates of oxygen transfer at the lowest energy cost and has a low maintenance schedule. Any design consideration for the ideal aeration system must evaluate SAE and not only SOTE (Standard Oxygen Transfer Efficiency). SOTE (standard oxygen transfer efficiency) is linked directly to bubble size and bubble ascent velocity, as well as layout/configuration of the diffuser or diffuser tubing in a tank or pond or basin. The SAE depends on the total wire to water power and needs to be considered. If an evaluation of the merits of an aerator were based on the SOTE only, this would omit consideration of the pump required for diffuser aerators, just as it would omit the head loss of some bubble diffusers. Abstract Oxygen-transfer rates (tap water, 0 mg/l dissolved oxygen, 20°C) for four tractor powered emergency aerators tested in a 820-m3 pond were: blower-fan aerator, 12.2 kg O2/h; Crisafulli® pump and sprayer, 12.3 kg O2/h; Airmaster® aerator (centrifugal pump and sprayer), 21.3 kg O2/h; paddlewheel aerator, 26.3 kg O2/h. Times required for aerators to homogeneously mix salt in a 6000-m3 pond were: blower-fan aerator, 96 min; Crisafulli pump and sprayer, 94 min; paddlewheel aerator, 53 min; and Airmaster aerator, 38 min. The Airmaster aerator and the paddlewheel aerator did not differ in their abilities to transfer oxygen and circulate pond water (P > 0.05); they were both superior to the blower-fan aerator and the Crisafulli pump and sprayer (P < 0.01). ? Research supported by USDA Special Grant No. 82-CRSR-2-10161 . There are many factors that will act to hinder the transfer of the oxygen load in a wastewater lagoon system. All of these factors must be considered to ensure that sufficient air is added to allow the necessary pounds of oxygen per day to be transferred. Some of these factors include: Biological activity in the ponds is optimized when a minimum dissolved oxygen saturation concentration of 2.0 ppm is maintained at all times. The aeration equipment should be sized for this basis. The atmospheric pressure at the treatment plant site is an important factor in determining how much oxygen can be transferred. It is more difficult to transfer oxygen at higher elevations than at sea level because of changes in the local air pressure. The maximum allowable oxygen saturation concentration that can occur at the field temperature and lagoon depth conditions must be considered. The maximum amount of oxygen that water can hold at 20 degrees Celsius is 9.09 ppm. As the water temperature increases in the summer months, lesser concentrations of oxygen can be held by the warmer water. Having determined the standard oxygen requirement of a pond system, it is next important to consider how much air volume in SCFM (standard cubic feet per minute) will be needed to deliver that mass of oxygen. Each cubic foot of air added to the lagoon will contain about 0.0173 pounds of oxygen. The oxygen transfer efficiency (OTE) of a diffuser system is a function of its depth in the ponds. Typically, an OTE of about 1.6% per foot of depth is found for fine bubble diffusers in a pond setting. For a lagoon with ten feet of depth, a transfer efficiency of about 16% could be expected. This means that 16% of the air added at a depth of ten feet will actively be transferred into the water while eighty-four percent will be excess and will bubble to the surface. This seems like an excessive air loss rate, but it is the best now available with current technology. Water aeration is often required in water bodies that suffer from anoxic conditions, usually caused by adjacent human activities such as sewage discharges, agricultural run-off, or over-baiting a fishing lake. Aeration can be achieved through the infusion of air into the bottom of the lake, lagoon or pond or by surface agitation from a fountain or spray-like device to allow for oxygen exchange at the surface and the release of noxious gasses such as carbon dioxide, methane or hydrogen sulfide. Dissolved oxygen (DO) is a major contributor to water quality. Not only do fish and other aquatic animals need it, but oxygen breathing aerobic bacteria decompose organic matter. When oxygen concentrations become low, anoxic conditions may develop which can decrease the ability of the water body to support life. Aeration speeds up this process of oxidizing organic and mineral pollution. In fact, if there is sufficient aeration, the fish will be able to survive, where before they suddenly died. By pumping compressed air out to the bottom of a lake, lagoon or pond with the use of a diffuser, the rising air bubbles and the friction caused in the water will bring bottom water to the surface where it is exposed to the atmosphere. Large volumes of water thus release noxious gases to the atmosphere, water picks up oxygen while circulating at the surface. Natural bacteria are stimulated by aeration and circulation and they will feed on muck, organics and the food that normally feeds algae blooms or aquatic plants growth. Using aeration and bacteria is often a safe and sound form of pollution removal.